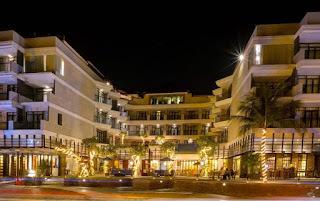 The Playa Hotel & Villas is in front of Kuta Beach Bali. The hotel previously named Namaste Villas, after undergoing refurbishment and expansion of the building, now has a new name. Located at Jalan Pantai Kuta No. 99X, Kuta, Bali 80361. 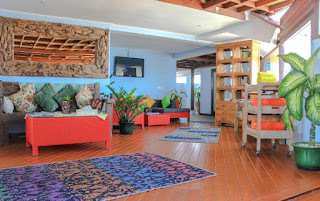 The hotel is facing the Kuta Beach, the hotel is very setrategis and easy to reach from any beach in Kuta. The hotel phone number is + 62361-755755. 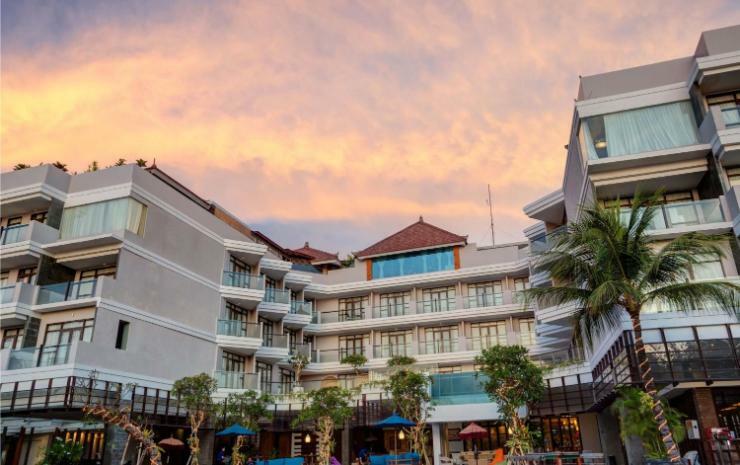 The Kuta Playa Hotel & Villas is located in the best location in Bali, precisely located on Kuta Beach. Very close to the beach, and even can be said to be a hotel on the coast. Between the hotel to the beach is limited only by the road, Jalan Pantai Kuta. Even from a hotel room on the top floor, you can see beautiful views of the Kuta Beach, the activities of people on the beach, surfers, people jogging on the beach, looking at the people who are playing on the beach. Vacation would have been nice if staying at this hotel. Accommodation in Bali with a layout that is very setrategis and in the region penus with a party and excitement throughout the day (if it does not happen bombings). 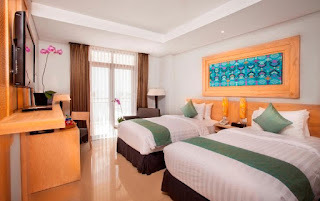 Location The Kuta Playa Hotel & Villas is very strategic, the hotel is close to the Ngurah Rai Airport. The distance from the airport to the hotel is about 4 km, with only 15 minutes on the way. So it is very easy to reach and close to the international airport. In addition to its strategic location, The Kuta Playa Hotel & Villas is also the hotel is close to Kendra Gallery, located about 470 meters, and with Beachwalk Mall is about 500 meters, the coastal area which is full of fun places. Very setrategis, you will not be bored if it is in the hotel area while on vacation in Bali with family or lover. Because whatever you are looking for is very close. The Kuta Playa Hotel & Villas is a great choice for those who want to spend time with a variety of luxurious amenities. Enjoy the best quality of service and a memorable experience during your stay at this hotel. Luxurious feel have felt when entering the hotel lobby. Welcoming the guests were very memorable. Make your experience will be unforgettable after a stay at this hotel. Holiday in Bali will feel memorable while staying at this hotel. The Kuta Playa Hotel & Villas is a place to sleep that is right for your vacation with family at Kuta Beach and surrounding areas. Enjoy all the amenities of entertainment for you and your family. 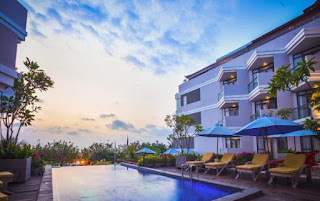 Falisitas entertainment provided by the hotel is very adequate to accompany your days while on vacation in Kuta Bali, with beautiful beaches in Bali. Kuta is the place filled with entertainment and festivities throughout the day. This hotel is located in the nicest location for a holiday. This hotel is a fitting choice for those of you who like the feel crowded but quiet. When the morning, around the beach there are a lot of people go jogging on the beach and sidewalk along Jalan Pantai Kuta. Your holiday will not be boring, because every day you can do different activities near the hotel. Your stay will be unforgettable thanks to special services are accompanied by various supporting facilities for your convenience. There are swimming pools for guests to relax alone or with friends and family. The swimming pool you can use to relieve the heat in the tropical air of the sunlit. The pool is adequate for a swim or eliminate hot flashes during the day. 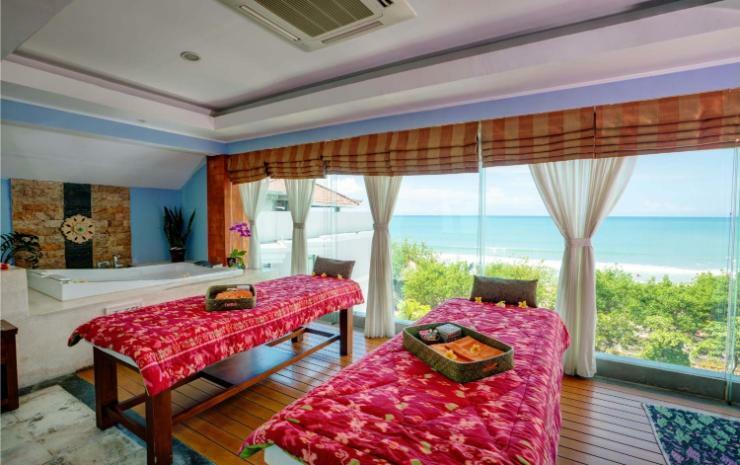 The Kuta Playa Hotel & Villas also has a spa facility that provides price and the best quality service. Spa is one of many services provided by hotels in Bali. Spa Bali is one offered to try and dibikmati by the guests. Spa Bali is very famous with traditional ingredients and naturally. Holiday in Bali will be very pleasant when you enjoy spa at this hotel. Friendly service, with softness spa that relaxes the body and can make your body relax. 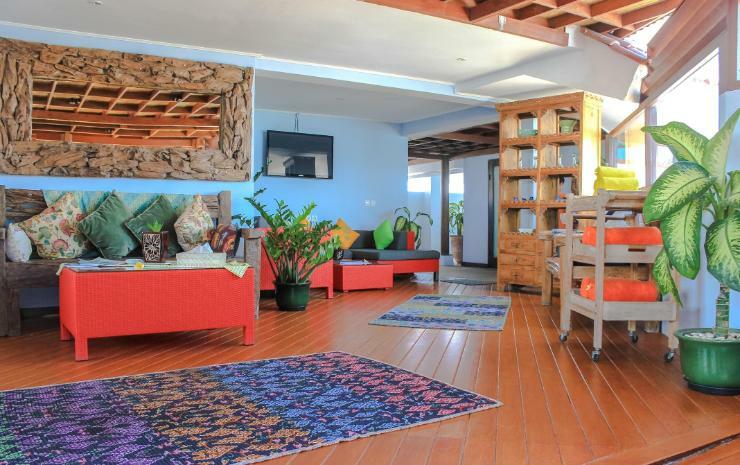 The Kuta Playa Hotel & Villas has a 24-hour front desk ready to serve the process of check-in, check-out and your other needs. Feel free to contact the front desk, because your satisfaction is the primary goal of this hotel services. There is a restaurant serving a delicious menu a la The Kuta Playa Hotel & Villas specially for you. Restaurant with delicious and typical food from the best chef. So you do not have to worry about food for your breakfast in the morning. Holiday in Bali will feel comfortable, calm and contented when staying at this hotel. Bali beach in front of the eyes while enjoying good food and fresh in the morning. Kuta will be very beautiful if you are satisfied morning with tasty food typical of this hotel. In order to support your mobility during the stay, provided WiFi network access throughout the hotel. So no need to worry if you want to communicate with family or friends at home. Free WiFi access is a standard service hotel in Kuta. Memorable and unforgettable experience you would get during a stay at The Kuta Playa Hotel & Villas. Holiday in Bali will be very pleasant and unforgettable. The best accommodation with views of bustling Kuta Beach and fun. Hotels in Bali's Kuta Beach is one of the best for you.